Deliciously fragrant linden trees perfume the air in early summer, beckoning us to come and enjoy their beneficial properties for body, mind, and spirit. This stately tree, a time-tested favorite herbal remedy in Europe, is often found lining city streets and growing in parks. And it may surprise you to know that linden flower and leaf (Tilia spp.) is a gentle friend that can help soothe away many of our daily woes while the nectar-filled flowers provide food for happy bees and other pollinators. Linden’s sweet odor reaches out through the air speaking directly to us, providing a calming yet uplifting presence. The flowers and leaves of this lovely tree are used by herbalists as a relaxing nervine. It is gentle enough for everyone in the family, making it the perfect herb to call on for kids and parents alike at the end of a stressful or disappointing day. Linden flower tea has a delightful smell and flavor, that sipped before bedtime, can help to relax the body while soothing an irritable and tense mind which enables the person to unwind and rest (Holmes, 1997). As a relaxing nervine, linden has been used to assist folks struggling with insomnia, nervous and muscle tension, anxiety, depression, hyperactivity, digestive issues originating from emotional unrest, and even hysteria and mania (The Herbal Academy, n.d.; Holmes, 1997). It was “historically used to soothe nerves and treat health problems associated with anxiety” (McIntyre, n.d.). Further, its calming nervine, antispasmodic, and helpful circulatory properties are used to help to ease spasms and cramps that contribute to headaches, tight muscles, and migraines as well as menstrual cramps (Tilgner, 1999; Holmes, 1997). The obliquely heart-shaped leaves give us a hint at linden’s benefits for the cardiovascular system and its ability to “gladden the heart,” uplift us emotionally, and soothe heartache and grief (Groves, 2016, p. 159). Yet, linden benefits the physical heart as well, which is evidenced in its long use for assisting with conditions such as atherosclerosis, angina, and heart palpitations especially when there is nervous tension or stress involved (McIntyre, n.d.; Groves, 2016). The heat and restless energy of many colds, flus, and seasonal allergies can be eased by linden’s cooling and calming properties. Like a gentle cooling hand on your brow, linden helps to ease fevers and relax the body so it can work on infection fighting. Herbalist Matthew Wood explains that linden is specifically indicated for fevers that are not relieved by “profuse sweat” and fevers associated with “chills [and] shivering” as well as painful fevers associated with “heat, irritation, and spasm” (Wood, 2008). Further, a soothing mucilage found in linden helps to relieve tension in tight tissues in the chest, throat, and sinuses (McIntyre, n.d.). Linden flower and leaf is a special herbal friend of children. Its gentle nature makes it a safe herb to share with children and it has been used for centuries to help soothe children. In particular, linden is used for excessive heat in children which manifests as hyperactivity or fever (Wood, 2008). You know, the kid who is so wound up and hot that they just can’t relax? Make them a cup of linden tea, a nice linden bath, or even a linden popsicle and watch them settle down. Combine linden with lemon balm to help a child during viral infections. Other good linden combinations for children are offered to us by Matthew Wood, who says, “yarrow, elder and linden are particularly good when we are dealing with children that are already over-active and hot to begin with—hyper-active, as we say. Elder, linden, and hawthorn will usually, in my experience, totally cure hyperactivity and often, attention deficit” (Wood, n.d., p. 27). Kids get nervous and stressed just like adults. Linden flower can help to ease some of that stress so the child can rest and face their day. Stress in kids before exams, performances, when starting a new school, or even when meeting a new person can cause some physical as well as emotional tension. So when a nervous tummy, headache, or troubles with sleep pop up, offer your child a cup of linden tea and perhaps a kind ear to talk to. The wondrous linden flower is full of useful properties! *The above information was taken from Linden Monograph by the Herbal Academy, The Energetics of Western Herbs by Peter Holmes, Body Into Balance: An Herbal Guide to Holistic Self-Care by Maria Groves, and Tilia europea/americana/ platyphyllos/cordata: Lime flowers by Anne McIntyre. As a summertime herb, linden flower and leaf help us to cool down, soothing away the heat of the day and the hyper-reactive heat of seasonal allergies (Wood, n.d.). In Traditional Chinese Medicine, summer is associated with the heart and linden is well-known among herbalists as a cooling and moistening cardiovascular herb. Brew this tea to drink on a hot summer day and serve over ice! You can also blend it with some fruit such as peaches or berries and freeze into tasty popsicles! Combine all the herbs together in a ½ gallon jar or a pot. You can make this tea with boiling hot water or as a sun tea. If you are making with hot water, boil the water and then cover the herbs with water. Place a lid on top of the jar/pot and steep for at least 30 minutes before straining. If you are making a sun tea, place the herbs in a jar so the sun’s rays can reach them. Cover the herbs with water and place a lid on top of your jar. Set the jar in the sun for 4 hours before straining the herbs out. While your tea is still warm, sweeten it with a bit of honey and then let it cool before serving! Depending on where you live linden will bloom at different times of the year though it generally blooms in the early summer around mid-June to early July. If you are blessed to live near a linden tree or two be sure to go out and harvest some of the lovely flowers. You can then air dry them or use them to make an delicious herbal honey! Loosely fill your jar with freshly harvested linden flowers. Sometimes the fairies like to take a sip and so check back on your honey after a couple of hours and add more if needed. Let the flowers infuse in the honey for at least a couple of days. Turn the jar occasionally to make sure that the flowers stay coated in the honey. After a couple of days of excruciatingly waiting, it will finally be time to enjoy your honey! You can strain the flowers out if you wish or just leave them in the honey and eat them. Spread your linden honey on baked goods and toast, use it in tea, or even enjoy by the spoonful! Invite linden into your life with these simple recipes. Keeping a small supply of dried linden flower and leaf on hand will help you to create delicious teas and relaxing bath blends as needed. Make a tincture of linden to have on hand when needed! Fill a jar with fresh linden flowers. Cover the flowers with vodka and place a tight fitting lid on top. Store the jar in a cool, dry place for 2 to 4 weeks. Shake daily. Strain the flower out, re-bottle the tincture, and label. Take as need or 30 drops up to 4 times per day. Make this heart-soothing infusion when you need some TLC during times of grief and sadness. Place the herbs in a big jar or pot. Cover with the water and place a cap or lid on top. Steep overnight, then strain and sip throughout the day. This blend is helpful drunk hot during fevers and respiratory illness. Blend up the herbs and store in a jar until ready to use. To make the tea steep 1 to 3 teaspoons of the herb mixture in 1 cup of boiling hot water for 5 to 15 minutes. This can be doubled or quadrupled to make more tea at a time so you will have it on hand to sip throughout the day. Simply reheat when you are ready to drink. Enjoy this bath before bed or anytime you need a to wind down and relax. Place the dried herbs in a big pot of water on the stove. Heat to a simmer. Turn off the heat, place a lid on top of the pot to keep any aromatic essential oils from escaping into the air. Let steep for at least 30 minutes, the longer the stronger. Strain the herbs from the liquid in the pot, adding the liquid directly to the bathtub. Toss in the Epsom salt. Or if you are using essential oils, place the Epsom salt in a bowl and add a total of 5 to 6 drops of essential oils to the Epsom salt. Mix with a spoon and then add the salt to the tub. If making this bath for young children either skip the essential oils or use only a couple of drops of the essential oil to create a child-safe dilution. Happily getting to enjoy linden uses and benefits is easy for most because it is generally considered to be a safe herb. However, preparations made from flowers that are old may cause issues included narcotic “symptoms of narcotic intoxication” (Grieves, n.d.). Also, linden may rarely cause an allergic reaction in the form of “contact dermatitis” or “allergic rhinitis,” and large amounts of linden may be “cardiotoxic” (“Linden,” n.d., para. 30). This is just a glimpse at this magical, beautiful herb. Learn more about linden in the Herbarium where you can find a full monograph sharing the many virtues of linden! Bennett, Robin Rose. (2014). The gift of healing herbs: plant medicines and home remedies for a vibrantly healthy life. Berkeley, CA: North Atlantic Books. Groves, Maria. (2016). Body into balance: an herbal guide to holistic self-care. North Adams, MA: Storey Publishing, LLC. Holmes, Peter. (1997). The energetics of western herbs. Boulder, CO: Snow Lotus Press. Wood, Matthew; Bégnoche, Francis Bonaldo; & Light, Phyllis D. (2015). 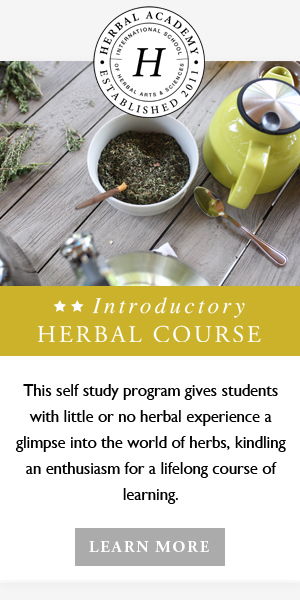 Traditional western herbalism and pulse evaluation: a conversation paperback. Lulu Publishing Services. Wood, Matthew. (2008). Earthwise herbal: a complete guide to old world medicinal plants. Berkeley, CA: North Atlantic Books.